Waldorf Education is a worldwide independent school movement developed in Europe nearly 100 years ago by Austrian philosopher, social reformer, and visionary, Rudolf Steiner. 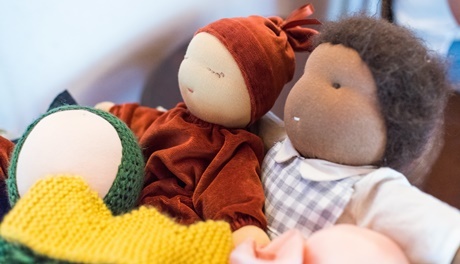 Today, Waldorf Education is represented across the globe, with about 1000 schools and nearly 2000 early childhood programs in over 60 countries. In Waldorf Education, the learning process is essentially threefold, engaging head, heart, and hands—or thinking, feeling, and doing. This is the basis out of which Waldorf teachers work to nurture and engage each child through a curriculum and methodology that integrates academics, arts, and practical skills. 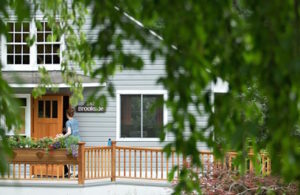 Although Waldorf Education has been available in the U.S. since 1928, with the founding of the Rudolf Steiner School in New York City, it has never been especially well-known here. But with increasing dissatisfaction over the high-stakes testing currently consuming mainstream education; the growing recognition of the many benefits a child receives through experiences with art, movement, and nature; a concern over a reliance on technology by younger and younger students; and the news that leaders in the high-tech industry are touting the lifelong benefits of low-tech Waldorf schools in educating their own children, more and more parents and educators are taking a closer look at the Waldorf approach and what it has to offer. Waldorf Education begins with the premise that childhood is made up of three distinct stages of roughly seven years each—birth to age seven (early childhood), seven to 14 (middle childhood), and 14 to 21 (adolescence). Each stage shapes the way children feel about and approach the world—intellectually, emotionally, physically, and spiritually—which, in turn, shapes the way they learn. Waldorf educators believe that curricula and teaching methods should be appropriately tailored to these developmental stages, each evolving as childhood unfolds. Young children from birth to age seven live primarily through their senses and learn best through imitation. Striving to be figures worthy of imitation, Waldorf early childhood educators nurture each child’s flowering, providing gentle, yet sensory rich environments and play-based activities that encourage the young child to investigate the natural world, explore social relationships, and expand imaginative capacities. These activities lay crucial foundations for intellectual, emotional, and physical development. Between the ages of seven and 14, children learn best through lessons that touch their feelings and enliven their creative forces. The Waldorf lower school curriculum is alive with fairy tales and fables, mythological sagas, and stirring biographies of historical figures. Waldorf elementary (or “class”) teachers integrate storytelling, drama, rhythmic movement, visual arts, and music into their daily work, weaving a tapestry of experience that brings each subject to life in the child’s thinking, feeling, and willing. Entrusted with the essential task of accompanying their students on a several-year journey, Waldorf grades 1-8 teachers have a role analogous to that of effective parent, guiding the children’s formal academic learning while awakening their moral development and increasing their awareness of their place in the world. Ages 14 to 21 marks the development of the independent intellect and, along with it, the ability to examine the world abstractly and exercise discernment, judgment, and critical thinking. 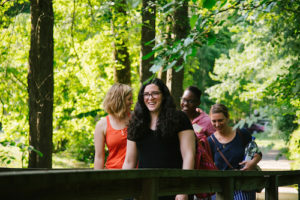 Students in Waldorf high schools are given increasing autonomy over their education under the mentorship of teachers who are specialists in their fields. Children enjoy an unhurried childhood. Visit a Waldorf school and watch the students at play. You’ll see children who delight in being allowed to live in the moment, who are free to explore nature and to go where their wide-eyed sense of wonder and imagination takes them. In our frenetic world, where pushing children to “hurry up or fall behind” has become the norm, Waldorf Education takes the point of view that childhood is something to be savored. By being free to develop according to their own natural rhythms, Waldorf-educated children enjoy full and rich childhoods, gaining the experiences they need to become healthy, self-actualized individuals. Learning is hands-on and age-appropriate. You won’t find young children hovering around a computer in a Waldorf school classroom or missing a walk in the woods or a trip to the farm in order to sit and cram for a standardized test. 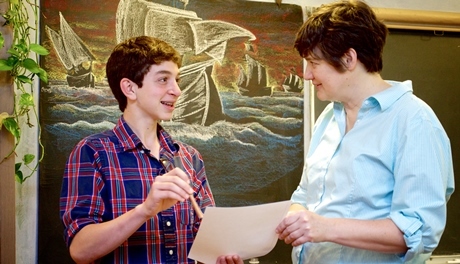 In Waldorf Education, learning is an experiential activity. It’s not a matter of doing without certain experiences, it’s a matter of introducing children to each experience at the right time in their development. When it’s time to teach the merits, uses, and hows of technology, Waldorf school teachers do so. And the knowledge, self-awareness, and problem-solving skills children develop through years of hands-on inquiry is of far greater value to them as learners and as human beings than anything they could have picked up by sitting at a screen. In-depth study enriches learning experiences. 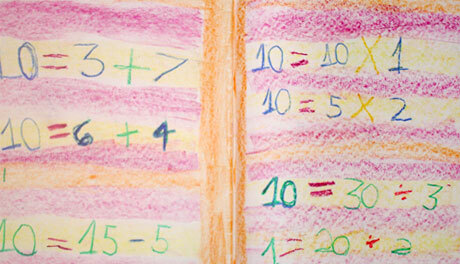 The advantages of block learning have long been recognized in Waldorf Education. In their daily morning (or “main”) lesson, Waldorf students from first through twelfth grade spend up to two hours concentrating on one subject which rotates every 3-4 weeks among the academic disciplines. Students have the chance to study each subject thoroughly and from a number of vantage points, which contributes to their enjoyment—and their understanding—of the subject matter. Students learn how to take an active role in their own education. From discovering the alphabet in the first grade to discovering anatomy, algebra, and U.S. history in the eighth grade, and all the way up through their high school studies, Waldorf students take part in the learning process by creating their own textbooks—beautifully-drawn journals containing stories, essays, poems, maps, illustrations, lab descriptions, and math equations. Rather than relying on pre-digested material presented to them in conventional textbooks, the act of creating their “main lesson” books allows children to absorb the lessons their teachers bring them and to make learning their own. Waldorf schools produce well-rounded individuals. Waldorf educators strive to bring out what lives in each student, but are careful not to over-emphasize one trait or skill over another. All students study math and science and learn foreign languages; they all play an instrument and sing in the chorus; they all learn handwork and take movement classes and perform in the class play. The goal in Waldorf Education is to expose children to a wide range of experiences and to develop within them many interests and capabilities. This, in turn, leads to well-balanced young people with high levels of confidence in their ability to apply skills developed in one area to another, and the knowledge that they can master anything. Waldorf-educated individuals have a lifelong passion for learning. At a Waldorf school, education is not measured by competition and test scores, but is viewed as a life-long journey. And an educational approach that appropriately responds to a child’s natural interest in the world cannot help but result in an intrinsic desire to find out more. Waldorf schools are sometimes erroneously seen as “art schools” because of the depth of the fine, practical, and performing arts curriculum you’ll find here, woven in an interdisciplinary fashion among all the subjects. Interestingly, however, it’s actually the sciences that become a career choice for many Waldorf school alumni—an interest developed through years of exploration, invention, and discovery. 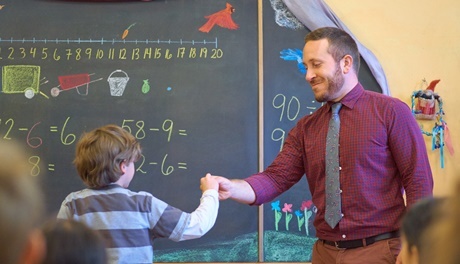 While Waldorf Education places children at the heart of its pedagogy, Waldorf schools depend on the teacher as a fulcrum for the educational process. 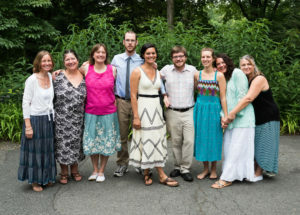 The individual who chooses to teach in a Waldorf school brings his or her full self to the development of others, providing mentoring, development, and affection that sustain the students for life. Steiner insisted his school’s teachers perceive and respond to the developmental needs of the children. The intended outcome would be young people who were independent thinkers and problem-solvers, capable of creatively meeting the challenges of their time. 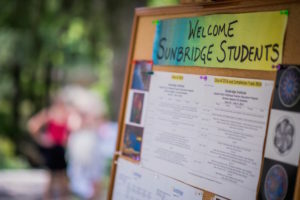 This inclusive and forward-thinking spirit of idealism, commitment, and engagement with the world continues to be a hallmark of Waldorf Education in our time. 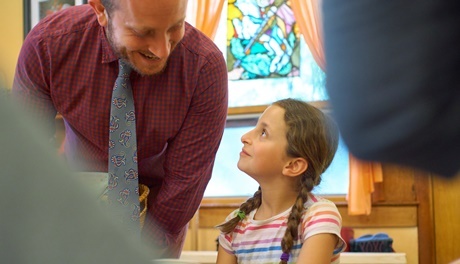 Watch “Seeding the Future,” a short video providing a glimpse into the principles of Waldorf Education and “Learn to Change the World,” a two-part film that takes a deeper look.